By Melissa Lennig on November 19, 2017 22 Comments. This content contains affiliate links. As an Amazon Associate I earn from qualifying purchases. 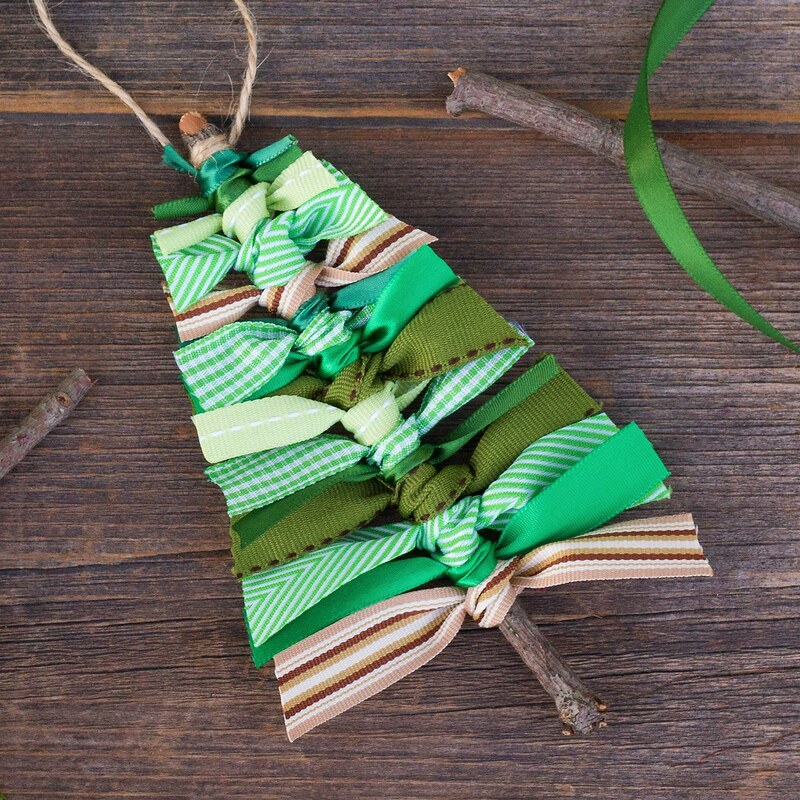 Inside: Just in time for Christmas, learn how to make DIY Primitive Scrap Fabric Tree Ornaments from fabric remnants, cinnamon sticks, and buttons with our helpful step-by-step tutorial and video. 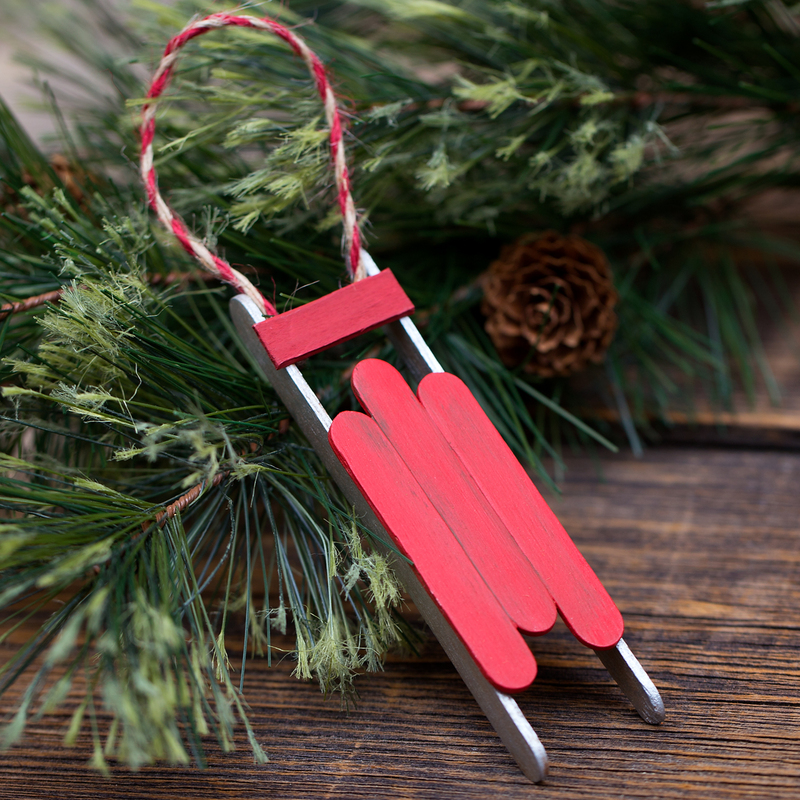 This ornament boasts irresistible texture, warmth, and color; it looks beautiful hanging on the Christmas tree or dangling from a holiday present. 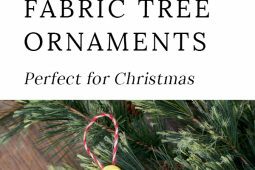 If you are a fan of our original Scrap Ribbon Tree Ornaments and are looking for a more frugal option for large groups of crafters, you will definitely want to consider using fabric instead of ribbon. 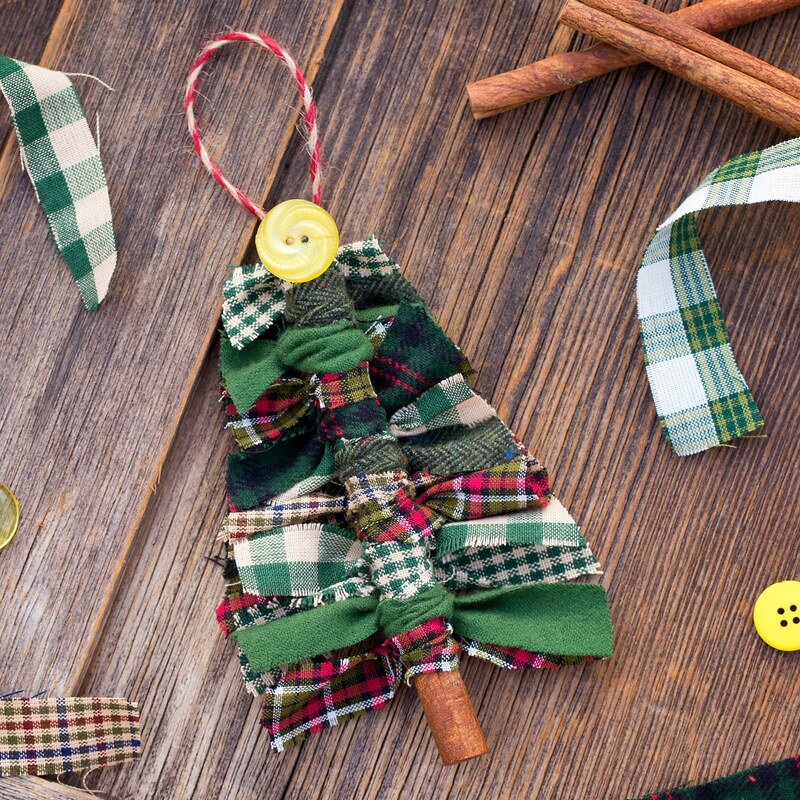 For additional savings, consider scouring thrift shops and remnant bins for festive fabrics. 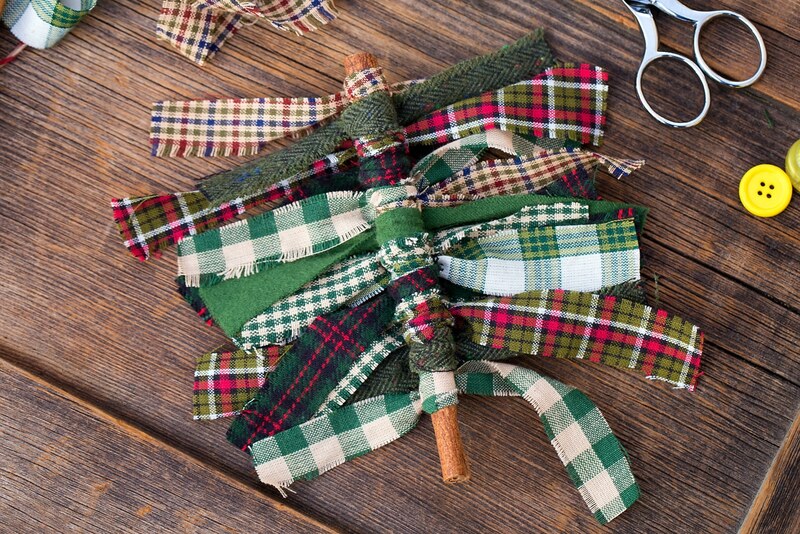 You could even upcycle old plaid flannel shirts, cloth napkins, and tablecloths for this craft. But for the purpose of this project, I purchased 1/4 yard each of new fabric from JOANN Fabric and Craft Stores. I made 3 ornaments and had plenty of fabric leftover for future projects. If you don’t want extra fabric, you may consider buying 1/8 yard cuts of fabric. 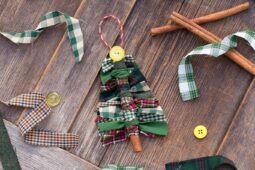 Just in time for Christmas, learn how to make DIY Primitive Scrap Fabric Tree Ornaments from fabric remnants, cinnamon sticks, and buttons. 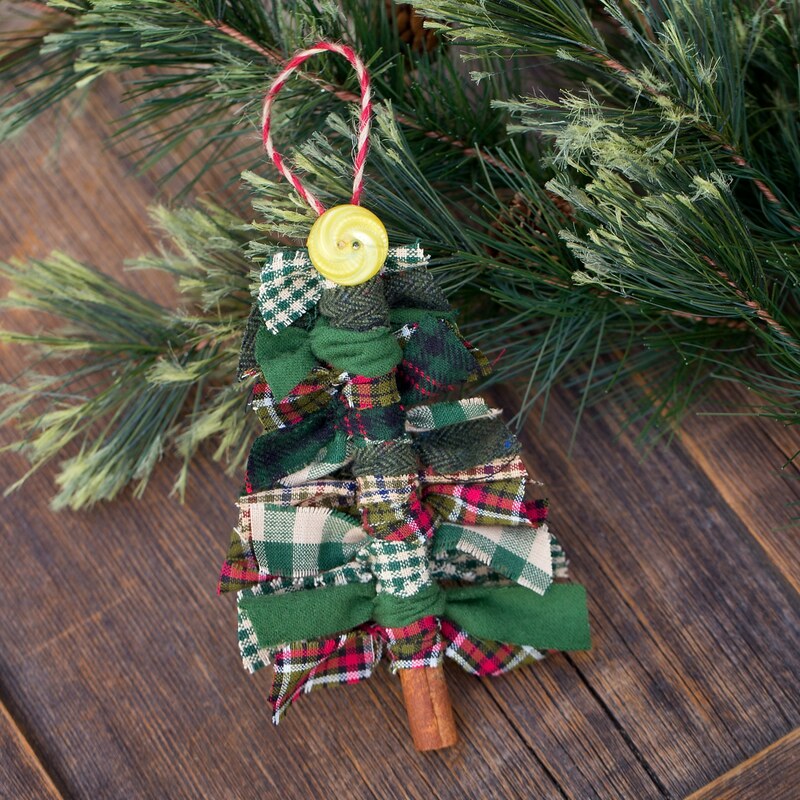 Use the hot glue gun to glue a yellow button or wooden star to the top of the Christmas tree. 1. 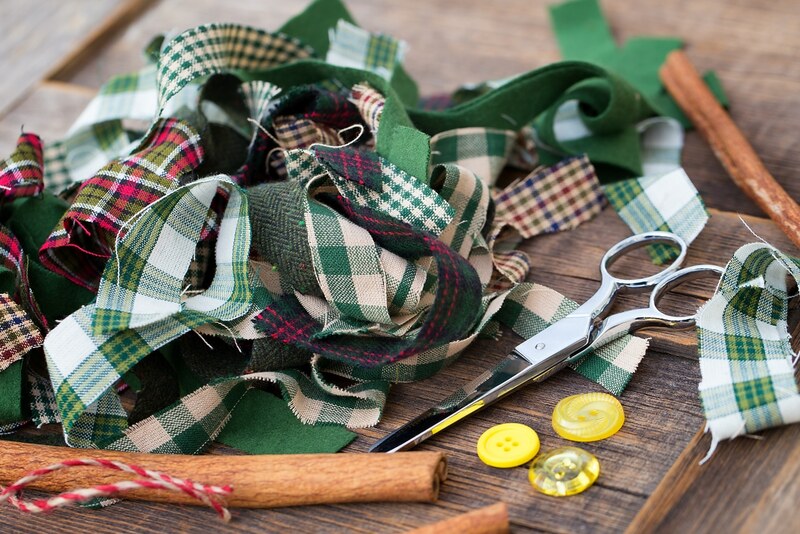 After gathering supplies, cut the fabric into 9-inch by .75-inch strips. I used a combination of buttery soft flannel and primitive homespun fabric. I chose this type of fabric because it’s double-sided. 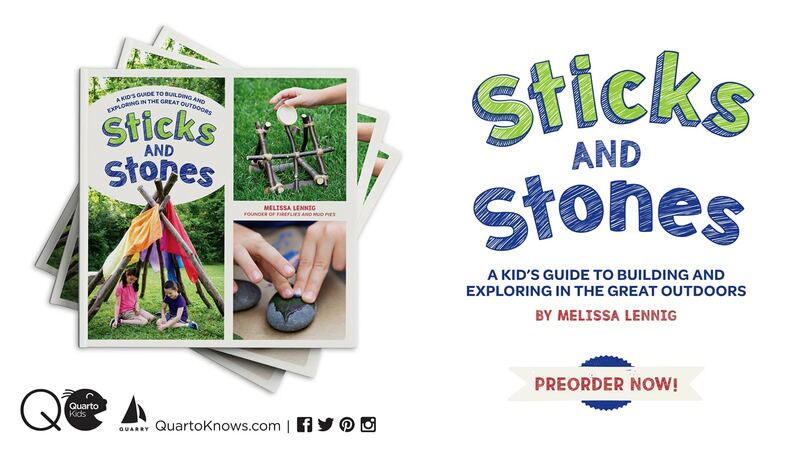 Be sure to select prints that have a touch of green! 2. Tie the fabric scraps onto the cinnamon stick. 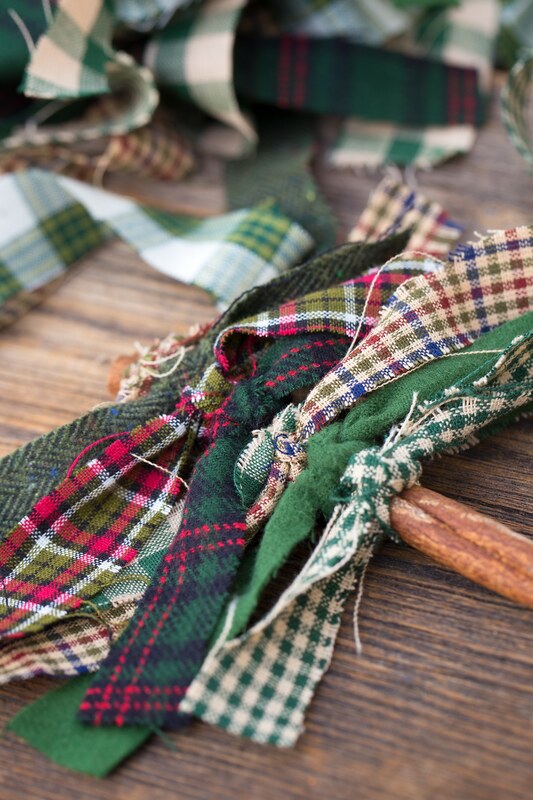 I tied each strip with a square knot (tie right over left, then left over right) and used about 13 strips of well-bunched fabric on each cinnamon stick. 3. 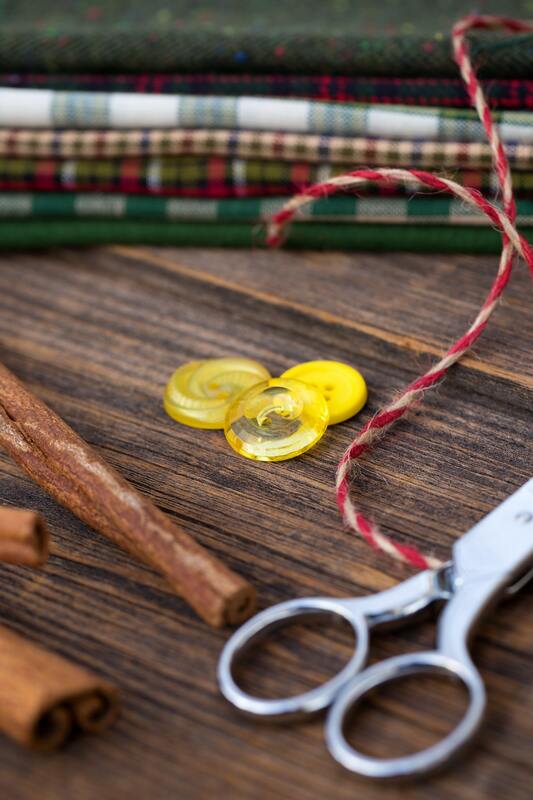 Use the scissors to snip off stray threads. 4. 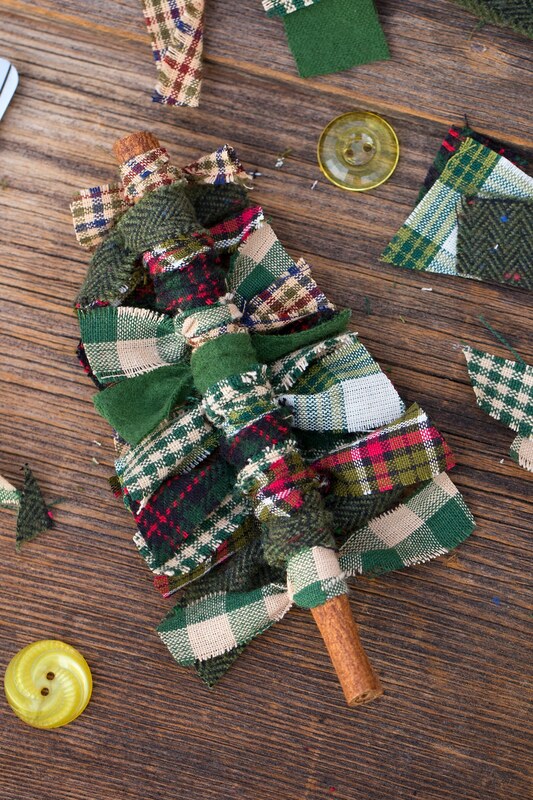 Then cut the fabric scraps into the shape of a Christmas tree. 5. 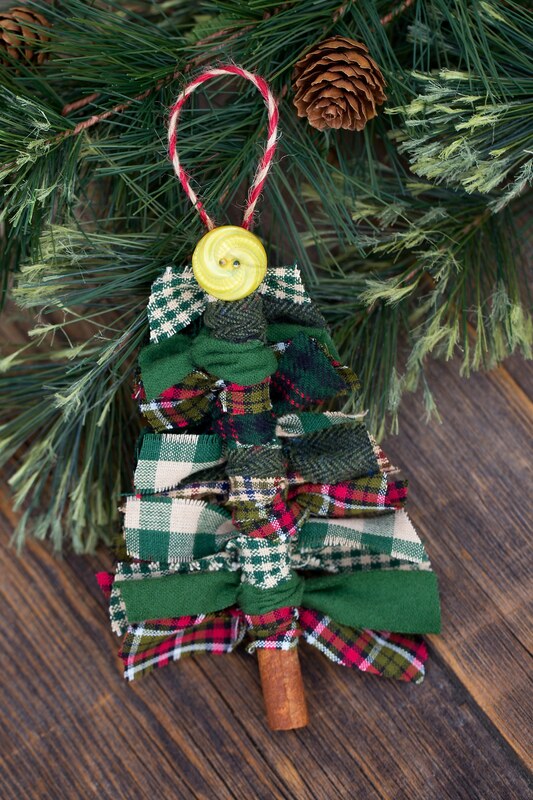 Use the hot glue gun to glue a yellow button or wooden star to the top of the Christmas tree. 6. 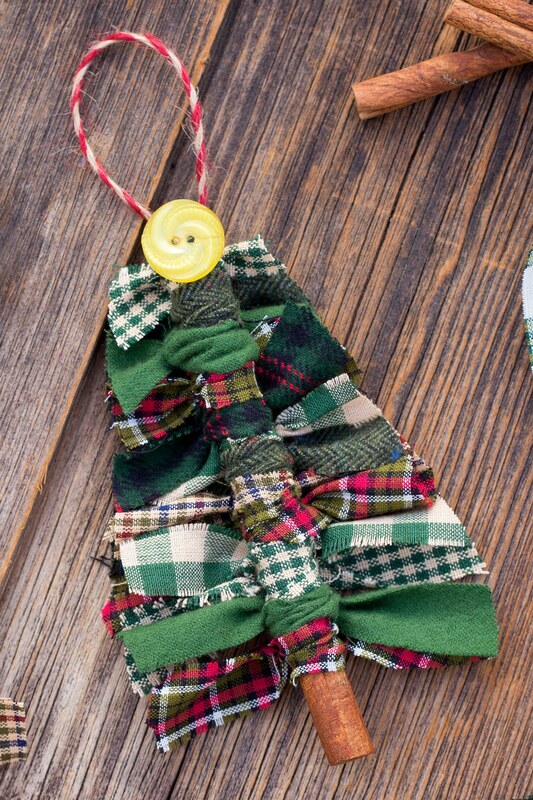 Last, glue a loop of twine to the back of the ornament. 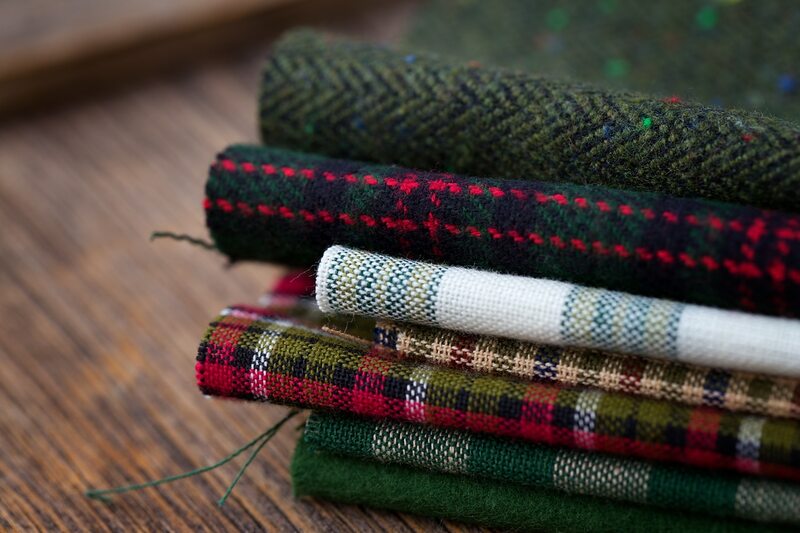 The flannel and homespun fabric emit a comfortable warmth that is perfect for Christmas! 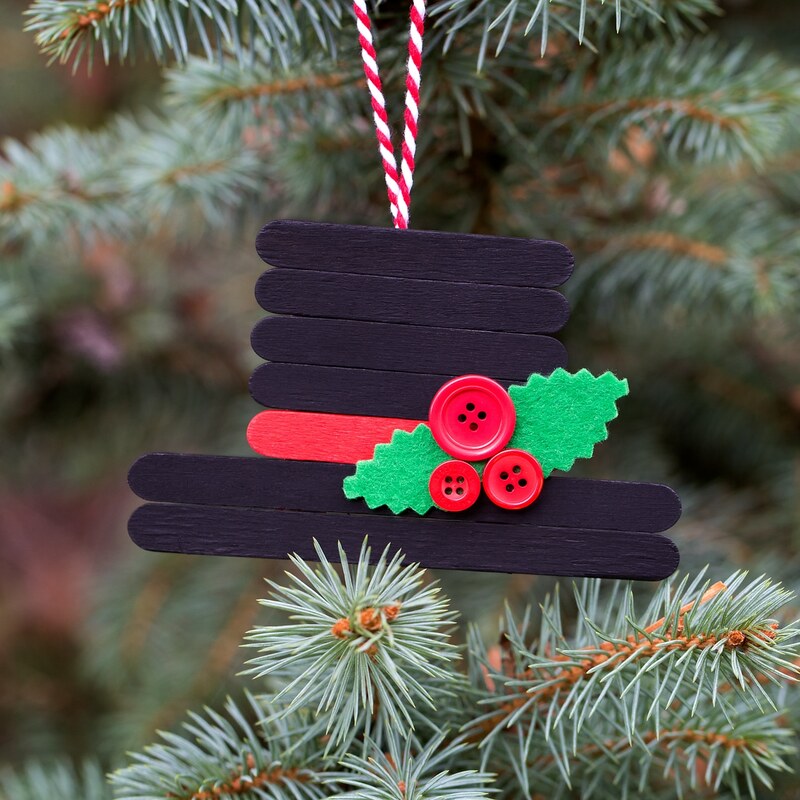 Click the images below to view more easy Christmas crafts for kids. Hi! I saw one of your videos on your Facebook page that was of these Christmas ornaments, but tailored to child’s interests, like there was a Cinderella one and a unicorn one…for those, where did you get the small unicorn (or princess) charm thing for the tree “topper”? Thanks so much!! Hi there! They are just buttons…have fun! !